In case those of you looking for Low Carb Energy Magazine are getting confused as to what happened, it appears as though that magazine has undergone a transformation. 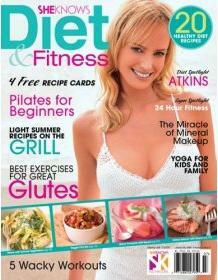 They became SheKnows Low-Carb last year and now this fall they have become SheKnows Diet & Fitness Magazine. They do still intend to keep their low carb subscribers happy as 22 percent of their subscriber base follows a low carb diet. So don't worry, they will still be covering this quite a lot, it just won't be dedicated solely to this diet anymore. So sorry to break the news to you all.